24 Comments This post may contain paid and/or affiliate links. Please see our disclosure policy for further information. To survive in today's world, one must have an income. In order to have an income, that means you’re going to have to find a job. Sadly, almost all jobs require some form of human interaction. Whether you’re writing a book or flipping a burger, it all goes to please another person: like it or not. For some of us, the thought of face-to-face contact is so treacherous that is can make us physically ill. Everyone wants to put a label on everything, and more often than not, we’re termed as “anti-social” or “introverted.” I’m okay with whatever you want to call it, but I’m not okay with saying that it’s an actual problem. Some people just like to be alone, and luckily, there are plenty of ways for us to make a living solo. 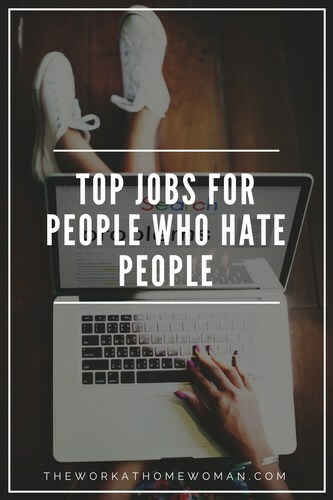 After doing some research on the matter, I’ve come up with a list of jobs that sound like they’d be suitable for people who hate working with other people. These are only suggestions. There is no guarantee that any of these would actually be suitable for you personally. Freelance writing could be a great job for someone who hates dealing with people. However, it doesn’t necessarily mean that you would be successful. Writing is an art, which as we know is one of the most challenging fields there are to date. There’s a big difference between a writer and a successful writer. Most writers still work a day job. Successful writers typically do not. But if you choose freelance writing, you aren’t out to please anyone. If people like you, great. If they don’t, big deal. Blogging isn’t a “get rich” scheme by any means. In fact, most bloggers don’t earn a penny from their blogs. However, there are hundreds of ways to earn money from blogging, all of which take time. If you’re interested in blogging, I can tell you that it can be perfect for people who don’t like to interact with other people. Don’t get me wrong, talking to people via the internet can be just as hellacious as communicating in-person, and often it’s even worse. But there are options that you have that can limit your person-to-person contact with cyber folk. I’m not saying that these would be financially beneficial and in fact, they may even hurt you in the long-run. But they are options. Deactivating your comments or just not reading or replying to comments. Little interaction on social media. I say “little” because, in all honesty, social media is pretty important when trying to get traffic to your blog. 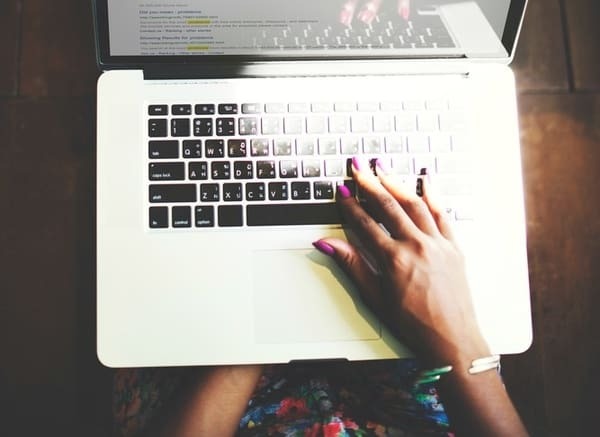 As a new transcriptionist, you’re more than likely going to have to have a little experience under your belt before you can branch off into working from home. Working from home is ideal for people who hate people because, well, there’s no one else around. Even if you score a job at a facility working a transcriptionist, you’ll still be working mostly independent. I remember when I worked at a doctors office as a medical assistant, I always wanted to switch places with one of their medical transcriptionists. She always complained about going back to working in the “dungeon” (basement) because it was so dark and lonely. Dark and lonely is my kind of heaven. Reselling items is how I earn most of my income. I buy things cheap and resell them to people on the internet or in my little booth that I pay monthly rent for at a local antique/collectible store. That’s why I love my booth at the store so much. I pay monthly rent, price my own items, place them in the store, and leave. Someone else handles the customers, and I never have to hear a single complaint. Housekeeping never sounded like too bad of a job to me. Sure, you’re on your feet all day, and I’m sure you witness a fair share of gross moments, but the luxury of the job is that it is almost complete solitude. It's almost the perfect job for people who hate people. And plus, cleaning has always been oddly enjoyable to me. The downside is that you’re likely to have a few unavoidable encounters with homeowners. Just don’t make eye contact. (Only joking). On the other hand, if you decide to open your own cleaning business, you’ll need a decent amount of customer service in order to attract and maintain customers. There’s more to just cleaning when you’re the face of the company. Photography is a great way to earn a living if you’re good at it. There are several websites that you can upload your photos to, and if they’re accepted and downloaded, then you get paid. One website that I know of is called istockphoto.com. Scenery, food, and animals are all good examples of non-human things to be photographed. Can Introverts Be Successful in Direct Sales? Emily Belcher is the blogger behind TheUnextreme.com, where she enjoys writing about various topics from toxic mold to life as a work at home mom. She also writes for some of the top coupon and nursing websites as a freelance writer and editor. Some of her hobbies include hiking with her husband and young son in beautiful North Carolina, practicing yoga, and reading tarot cards. I would add my perfect job to this list. I’m a transcript proofreader for court reporters. I never have to interact with anyone except through email, and I get to work from literally anywhere in the world as long as I have internet access. I am a veterinarian and stopped practicing 12 years in due to PEOPLE. I hate people and I’m a therapist, go figure lol. I can deal with my clients even though some drive me nuts, it’s the agencies I’ve worked for that are all b.s. and the people are always atrocious. Desperately want to be self employed, but can’t yet. Don’t know how to cope dealing with the people in these agencies another day!!!! This is coming from someone who also can’t stand people. Take it one day at a time. Hello! Enjoy your posts very much!! I am a nurse too, and I just had back surgery so I am looking into working from home! Permanently as I do not want to commute anymore. Any posts specific to nurses finding work from jobs would be great to read! Thanks so much! Hi Rebecca, You’re in luck — we have a post dedicated to remote nursing jobs: https://www.theworkathomewoman.com/remote-jobs-nurses/ Good luck and keep us posted! Hi Tyler, There are some apps that allow you to make money taking photos with your smartphone, but I’d say if you’re serious about making money with photography you’ll need to invest in a good camera. Here is a list of sites that you can sell your photos to: https://www.theworkathomewoman.com/selling-photos/ Good luck and keep us posted. I don’t want to deal with people at all. I get enough of that from my day job. Are there any data entry companies that are hiring? This is great,I also believe it’s OK to want to be alone. I was a nurse for 35 years and now I hate people. 2 more suggestions long haul truck driver and night watch man/woman . I’m a nurse too, Lily. I enjoy working from home a million times more =) Thanks for the suggestions! I hate to tell ya on the truck driver aspect, but they do still have to deal with people, between brokers, dispatch, companies you deliver or pick up to/from and of course, the restaurant people you eat at. My husband thought that to, and now, he’s been driving off and on for almost 25yrs. Ohhh, thanks for sharing that insight, Eva! I would have thought being a truck driver would be a very solitary position. Have you checked out these posts? Me, too. Tired of sick people and medical people. Had to read this as the title sums me up and guess what, I’m already a housekeeper. Off to buy cheap stuff, take some pics and write my first book. Thanks for the read. It’s nearly impossible to find medical transcription work in the US. It’s all farmed out to other countries, or is electronic. Hi Laura, Are you a trained MT? Have you checked this article? It lists companies that hire medical transcriptionists. You can also search local hospitals and doctors’ offices. It seems odd that companies would farm out MT positions, as medical terminology and practices vary greatly from country to country. Plus, you would’t want someone with poor English transcribing your medical records, as accuracy is of the utmost importance, especially if there is a lawsuit. I’ve also read that medical transcription editors are needed to verify the auto transcription files for errors. Thanks Emily! I lol’d at this title- but it’s a very real concern for a lot of people. On top of all your awesome ideas in this post- I think any job working remote would do the trick for most people! (Besides customer serviced based ones). Glad you enjoyed Emily’s post, Lisa.